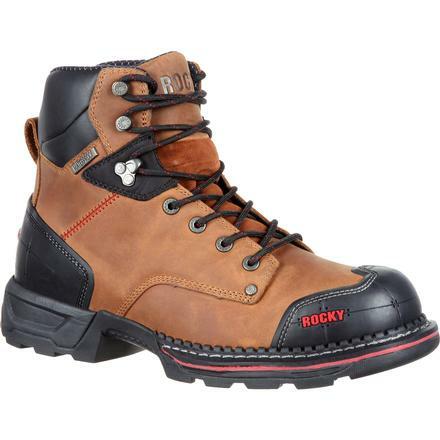 Take safety, comfort and performance to the Maxx with this all new collection by Rocky. 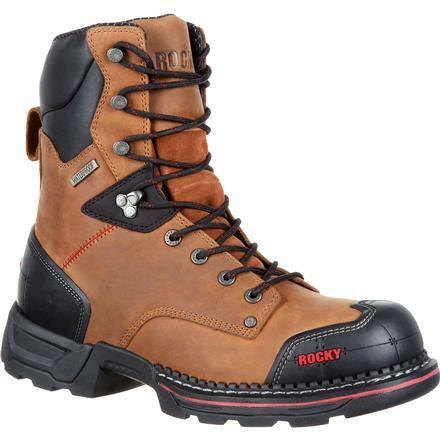 Featuring Rocky’s new VP Waterproof technology, this Vapor Pass proprietary technology has a waterproof barrier that keep liquids out without trapping perspiration in, allowing your feet to stay cool and dry. 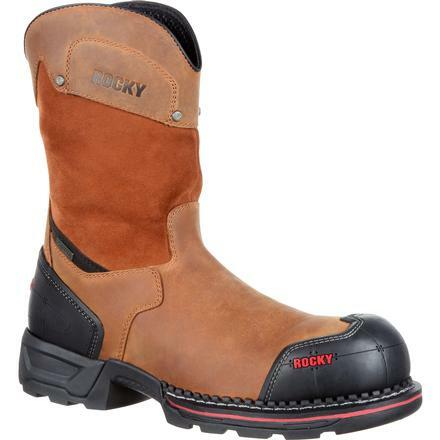 Molded rubber shell toe and heel guards allow for abrasion resistance in the highest wear and tear areas, turning these boots into an everyday tool. Sink into maximum comfort with our premier EnergyBed footbed, lined with memory foam and forty density polyurethane that absorbs shock and returns energy. Take your work day to the Maxx! Tough on the outside, comfort on the inside.